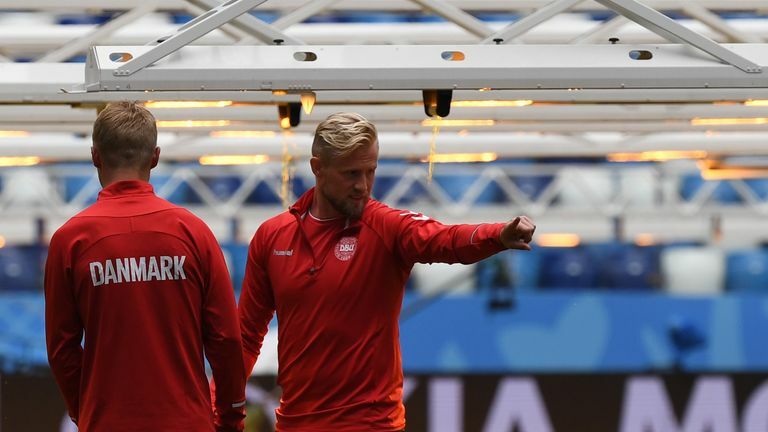 Denmark were forced to play Slovakia with a team made up of unknown lower-league and Futsal players. But how has it come to this? The Danish Football Association (DBU) named a severely under-strength squad for Wednesday's friendly in Trnava, losing 3-0, and the same set of players may also be used against Wales in the Uefa Nations League on Sunday. This all came about as a result of a dispute between the DBU and the players' union (Spillerne) meaning the majority of players are unavailable, including the entirety of the squad which reached the last 16 of the World Cup this summer. Not only that, but former Blackburn Rovers assistant manager John Jensen has been called in to take charge of the national team in place of manager Age Hareide, who has been temporarily stood down by the DBU. Senior Denmark internationals, including Tottenham Hotspur's Christian Eriksen, Chelsea defender Andreas Christensen and Leicester City goalkeeper Kasper Schmeichel, have refused to sign a new national team agreement in a dispute over commercial rights. 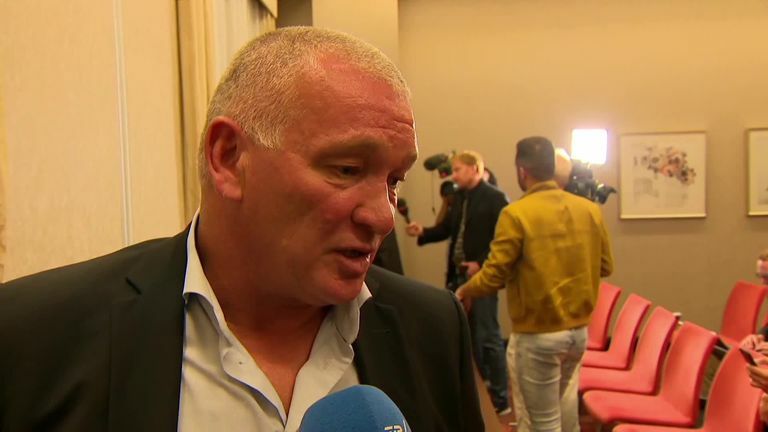 The two parties have been negotiating for several months now in order to try and resolve the problem, only for those discussions to breakdown after Spillerne accused the DBU of withdrawing from talks on Friday without reaching an agreement. How did this new squad come about? On Sunday, the DBU rejected Spillerne's offer to play the two fixtures under the terms of their previous deal. Instead, the governing body wrote to its domestic clubs in an attempt to compile a squad of new players who had never played for the national side before. However, after those Danish Superliga and First Division sides opted not to make their stars available, the DBU selected a squad made up of players from the third and fourth tiers of their domestic league, as well as four who featured in the 2016 Futsal World Cup. What does this mean for the current coach? Hareide and assistant Jon Dahl Tomasson have temporarily been stood down from their roles, with the DBU deciding the duo should not be involved as the team consists of players they have not coached before. As a result, former Denmark international Jensen has taken charge of the side for the international double header. Is there much sympathy for the players though? Some Danish supporters feel the players are being greedy, but Eriksen has denied this, claiming the dispute is not about money. The Spurs playmaker was keen to emphasise he and his team-mates are happy to extend the terms of their previous agreement with the DBU. "Together we enter the agreement and together we save the face of Danish football," he said. "We are right here and want to play football for Denmark - as always. We have to solve this conflict now, not just digging the ditches deeper. So we're happy to extend our hand again - let's renew the old deal by one month." So what could happen to the national team? This row comes less than 12 months after the Denmark women's team boycotted a World Cup qualifier with Sweden after a dispute over their employment conditions. The DBU was hit with an £18,000 fine and Sweden were awarded a 3-0 victory, but they were not kicked out of the competition. Instead, the DBU was also warned Denmark risked being barred from any Uefa tournament if it called off any fixtures within the next four years. Meanwhile, the Slovakia FA - who dropped their ticket prices for Wednesday win to just €1 - have urged European football's governing body to ensure there are meaningful consequences for their Danish counterparts. Who will play against Wales then? 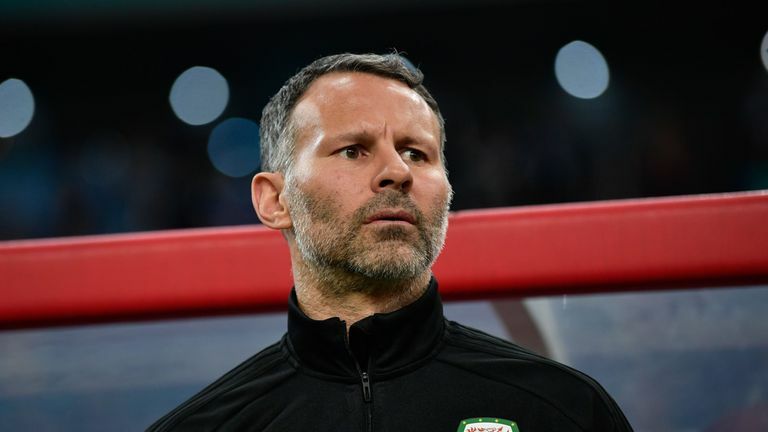 The same group of players are likely to feature against Wales in the Nations League - in a match you can see live on Sky Sports Football - after the DBU chairman confirmed no talks will take place with the regular internationals ahead of Sunday's game in Aarhus. "An offer has been made, which I hope the players will think carefully and thoroughly," said Jesper Moller. "If the players cannot accept the offer, then we'll have a serious situation again on Sunday, because the offer will not be different. "The old agreement has expired and no-one would maintain it while it was in force. It was born in an arbitration case, so we will not agree on an extension." Meanwhile, Wales themselves still intend to travel to Denmark for Sunday afternoon's opening Group B4 clash in the newly formed Nations League. Does this all leave Jensen in a tricky position? The former Arsenal midfielder has been at pains to point out that filling in for Hareide should not be seen as him siding with the DBU. "Where we are now, I see only losers in the conflict, and Danish football loses most of all," said Jensen. "When I say yes to help here, it's because I feel very strong for the national team as an institution, and because I think the most important thing must be that the games will be played. "I just hope to help us get through the two matches and that the parties find a solution as soon as possible. The national team has meant infinitely much to me in my career and in my life. It hurts to follow this course, and I hope my contribution can help mitigate the negative consequences."